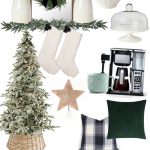 Decorating for Christmas had me insanely giddy this week, you guys! 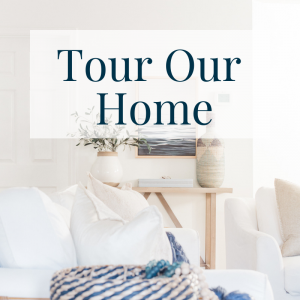 I’ll be sharing my home tour with you later but today I want to share a few tips for decorating your front porch. I’m not even sure if my entry can be categorized as a “porch” but I’m going with it. Decorating the porch is all about making it as inviting and welcoming as possible. 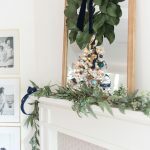 I want guests to immediately feel that holiday cheer from the very first glance. 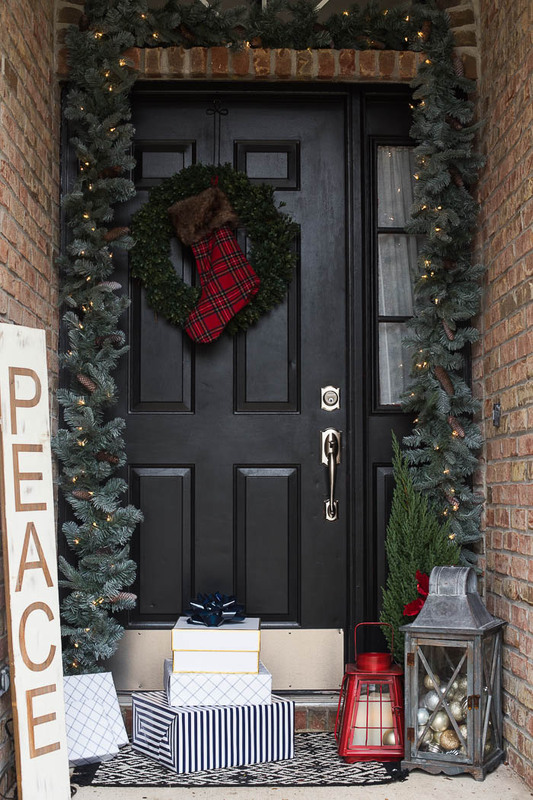 Incorporate fresh or faux (or a mix) in your holiday porch decor. I especially like using a garland around my door frame. If you have a porch railing or columns adding garland there would be lovely. I love the lighted garland around the door. In the evening it completely sets the porch aglow. I also added a perfect little blue spruce to one side of my porch. Since my porch is a bit narrow – I kept the vignette to one side only – keeping the decor practical. Have a wreath or door hanging to greet your guests. Wreaths are just pretty and dress up your door so nicely. 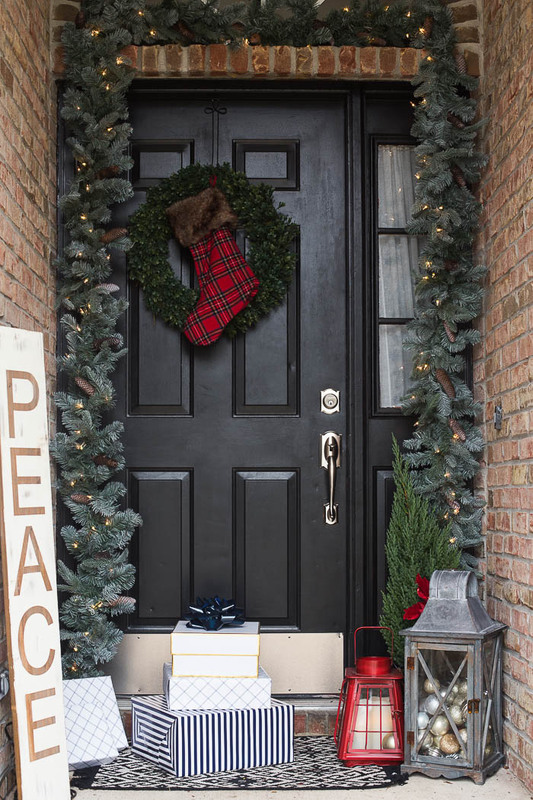 You can get as creative as you’d like with door decor – you could make your own, use a fresh evergreen wreath, or even a faux. I decided on hanging up my old standby faux boxwood wreath but added this plaid and fur stocking over the front. I love using vessels of all kind in my decorating. For outdoors lanterns and planters are amazing for adding festive touches. 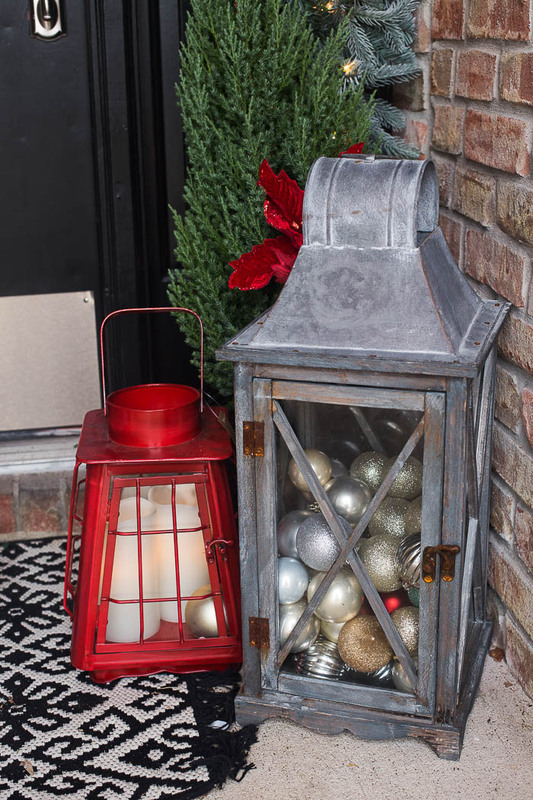 Orchard Supply Hardware has an amazing selection of outdoor lanterns (like this darling vintage inspired red one)! Fill lanterns with ornaments (I like using the shatterproof ones outdoors), pinecones, jingle bells or with battery operated candles. Fill planters with fresh greenery, branches, or even some wrapped gifts (or boxes made to look like gifts) for more festive decor. Like with all decorating the details are everything. 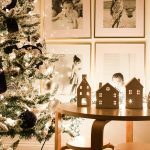 Consider adding more whimsical details to your space like a handmade sign, a sled or ice skates, some firewood, or even additional twinkling lights. You want the space to look inviting and lived in. If you have a porch larger than mine, create a cozy seating area with blankets and pillows. My only regret is that I don’t have a little spot to enjoy Florida winters in our front porch! Don’t be afraid to make things. 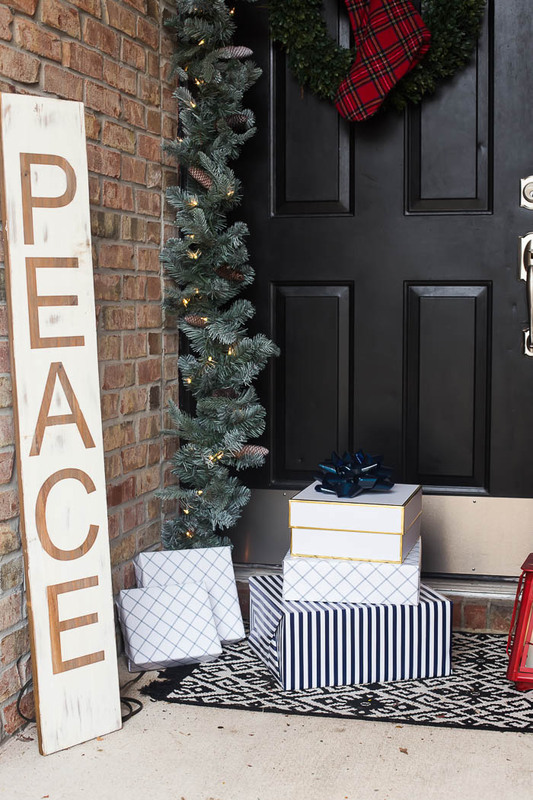 DIY signs, wreaths, tomato cage trees, the options are endless when it comes to DIY holiday projects. 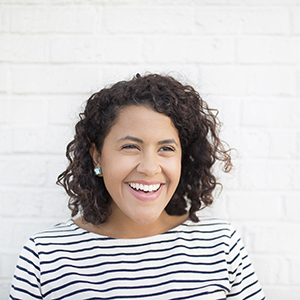 Bust out the glue gun and have fun! Try to stick with a color scheme. The options are endless when it comes to selecting colors to decorate with during the holidays. 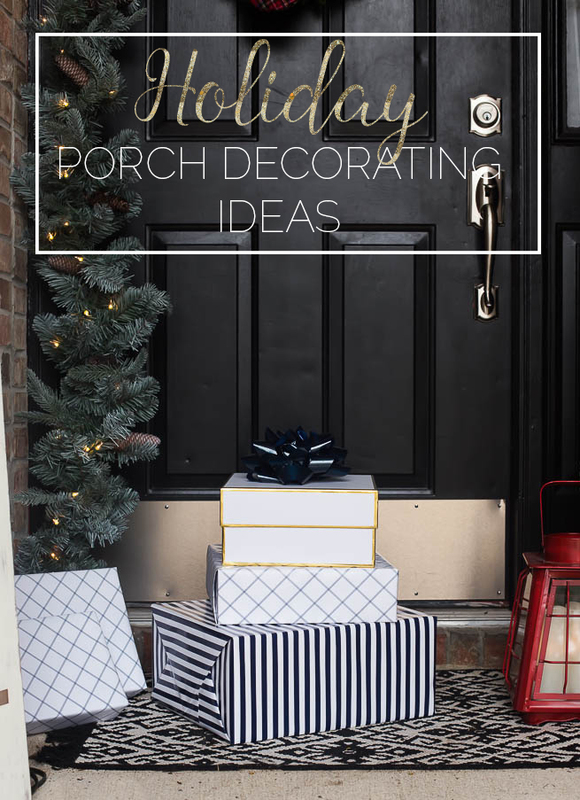 Try to stick with one or two colors for your holiday porch decor. Classic red and white is an old standby. If you are feeling a bit blue, blue and white or blue and silver is another great option that looks beautiful with the crisp greenery. 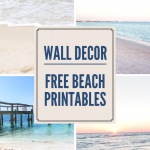 Thanks to Orchard Hardware Supply for sponsoring this post. My favorable opinion is 100% my own. Oh I love it Chelsea, it is gorgeous. We have the same size “porch” in the new home we are buying, so these are great ideas. Your garland looks so nice! Is that faux? We were thinking about combining some fresh and faux this year to make it nice and full. 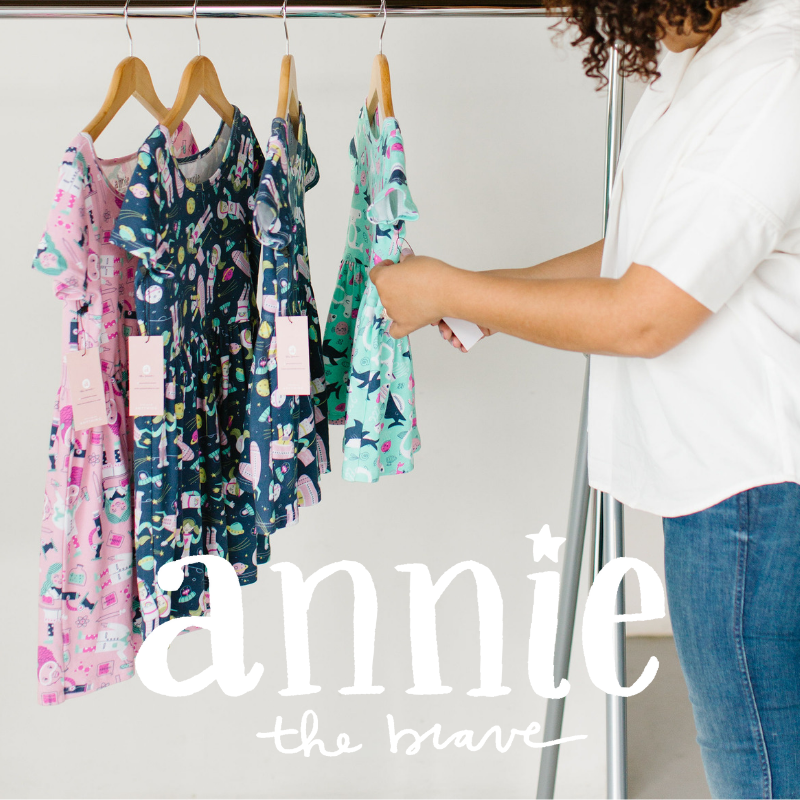 Lovely ideas…and yours looks so cozy!